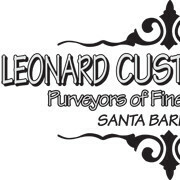 LEONARD CUSTOM WORKS (LCW) is a General Construction company serving Santa Barbara and the Santa Ynez Valley for over 19 years, We provide Complete construction needs from basic framing to move-in completion up to, and including, custom furniture cabinetry doors and windows. We strive for excellence in project management, earning our credentials through hard work, determination, and a desire to please all our clients. It’s your home and your dream- you can be assured your input is important and we will answer all you your questions. Whether building a home or remodeling a small area, selecting a builder can be a difficult decision. Let LEONARD CUSTOM WORKS prove it doesn’t have to be.